Silverstack XT and Silverstack Lab allow to import, display and export dynamic lens correction data from ZEISS CP.3 XD lenses. 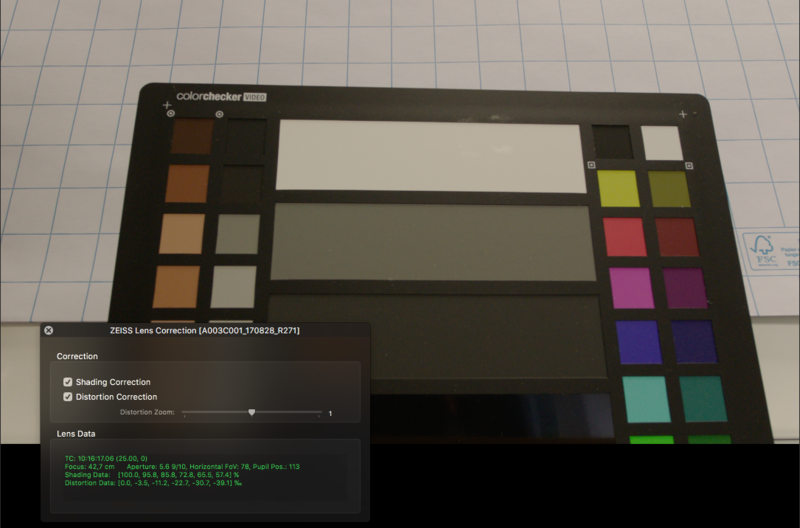 In particular this involves shading and distortion correction of the recorded image. 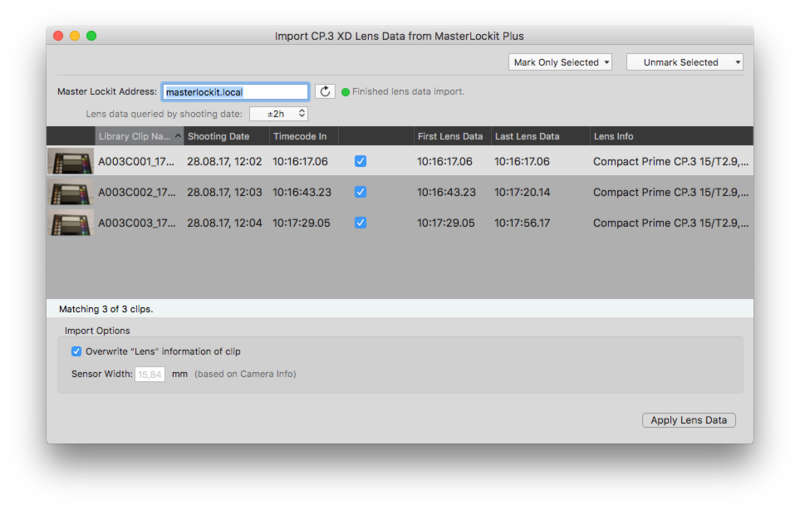 Import lens correction data directly from Ambient Master Lockit Plus to consolidate it with the according clips in the library. Display and review shading and distortion correction via the ZEISS lens correction panel in Silverstack. 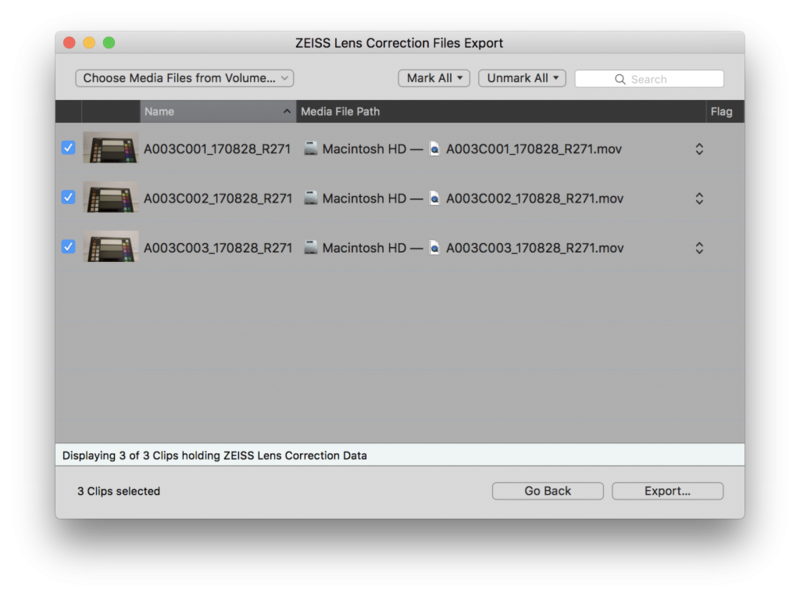 Export .ZLCF lens correction files to transport lens correction data to consecutive applications such as DaVinci Resolve. To learn more about the general workflow please visit the article ZEISS CP.3 XD Lens Correction: Workflow Overview. 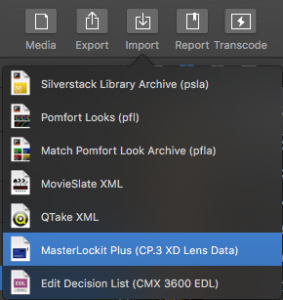 Prior to importing lens correction data, clips have been recorded in the camera with the MasterLockit Plus attached to camera and lens. 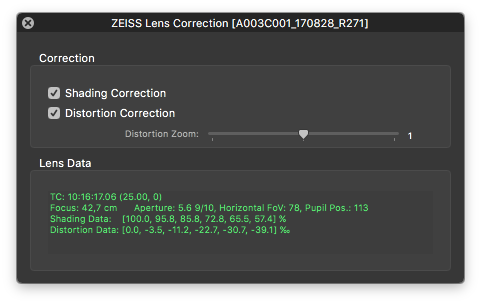 Be aware that only clips that do not hold lens correction data will be displayed in the import wizard. 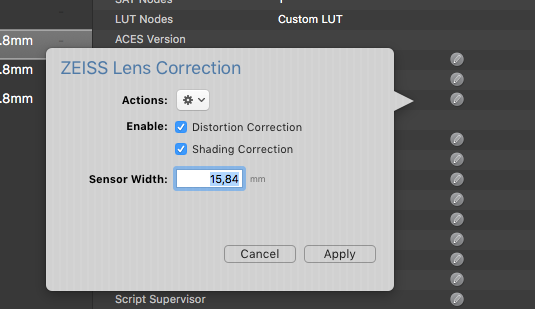 Learn how to remove lens correction data in the sections below. Lens data queried by shooting date: The lens correction data saved in the MasterLockit Plus will be queried for a certain time range around the shooting date of the clips. You can set a wider time frame for the query with this dropdown. By setting the time and date of the camera correctly you can initially make sure that the shooting date and time of the clips matches the timestamp of the lens correction data. Overwrite “Lens” information of clip: The lens info coming from the MasterLockit Plus can be taken over to the “Lens” metadata field in Silverstack. There are cases when an automatic detection is not possible (most probable caused by the lack of metadata of the clips). In this case you have to specify the sensor width manually to be applied to all clips where an automatic determination was not possible. 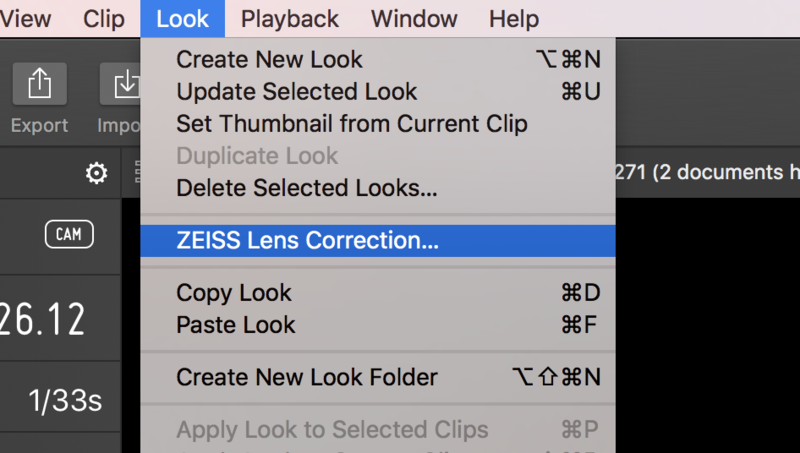 You can change the sensor width later in the General Info (right sidebar) under “ZEISS Lens Correction” (see details below). To take over the lens correction data to the clips click the “Apply Lens Data” button. Please be aware that the wizard only shows clips that hold lens correction data. All others will not be shown and are reflected in the status line at the bottom. Per clip one .zlcf (ZEISS lens correction file) will be exported. 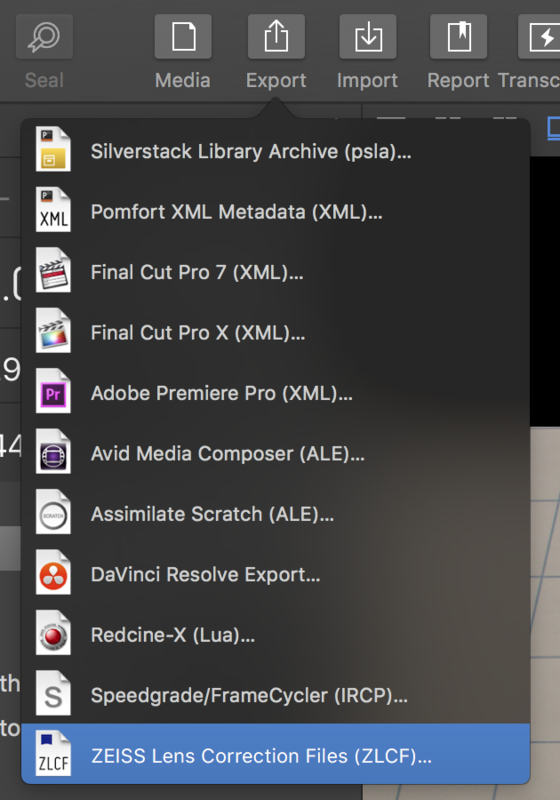 After clicking “Export…” the wizard points you to select a folder for the zlcf files to be placed.